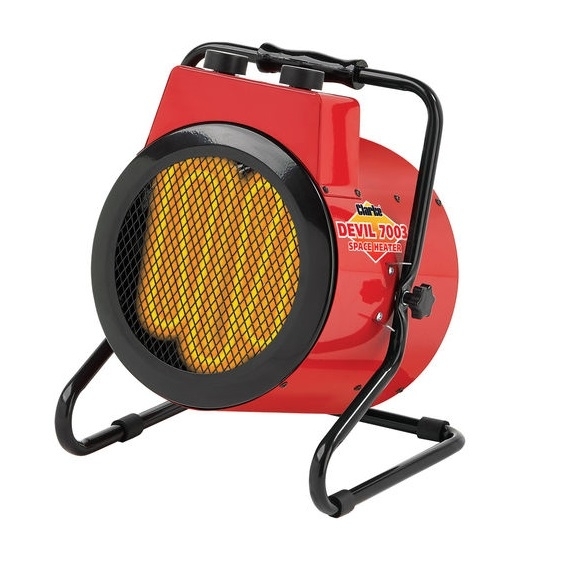 The Clarke Devil 7003 Fan Heater rated at 3kw output is ideal for smaller workshops and industrial unit heating. The 7003 model has 2 heat settings and has features such as thermostatic control and over-heat protection. The 7003 heater is easily portable weighing only 5.6Kg.